The Maserati 5000 GT Coupé was one of the fastest and exclusive in the Gran Turismo class of its time. These cars were built between 1959 and 1965 and they owe their existence to the decision by Maserati to withdraw from motor sport. The V8 racing engines from the Maserati 450S that were no longer required were married to the chassis of the 3500 GT and supplied to eight of the world most prestigious automobile designers. The 3500 GT chassis was duly reinforced as were the brakes. The racing V8 was detuned from 400 hp to 340 hp for more longevity. A kerb weight of 1670 kg (3670 lb.) allowed a claimed top speed of 270 kph (162 mph). 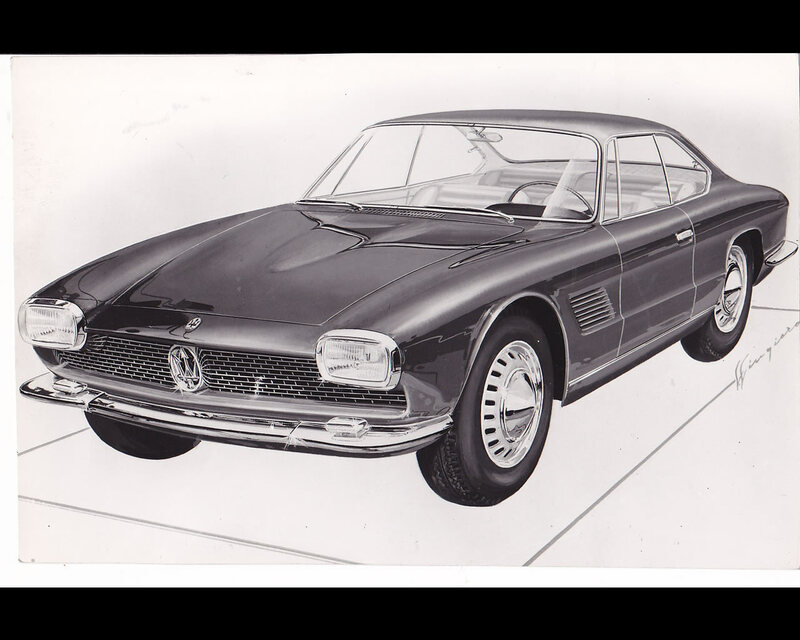 A total of 34 cars were created by Allemano, Touring, Frua and other designers. 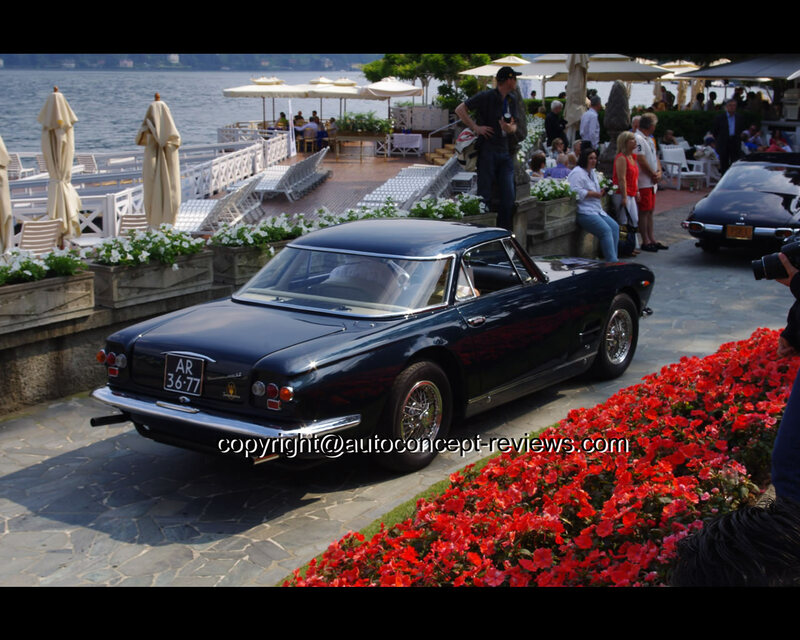 The 5000 GT presented here is one of the first with five-speed gearbox by ZF; it was bodied at Allemano and supplied on August 24th 1962. During the 1990s, the vehicle was first delivered in Venezuala . 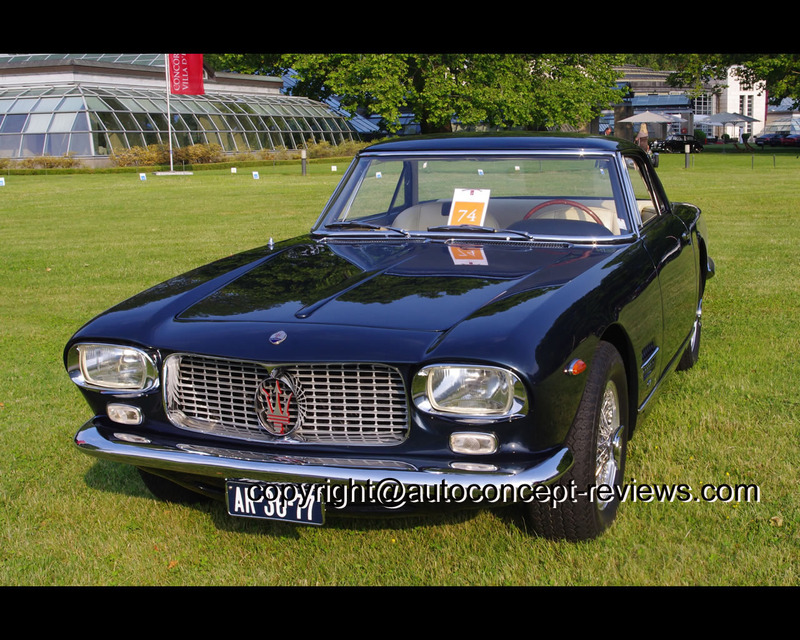 It was shipped back to Europe and restored by Maserati specialist Bill McGrath in the United Kingdom. 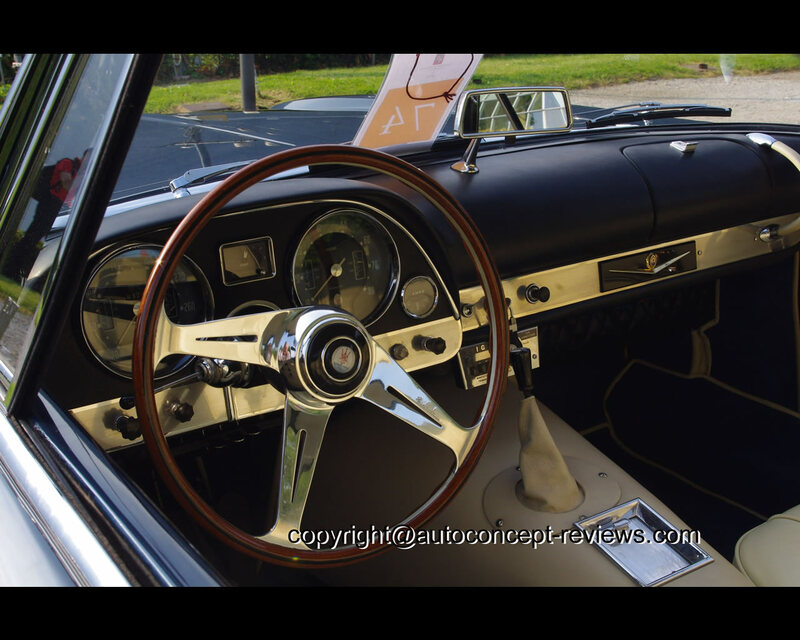 The sports car is now finished in the original Metallic Blue Sera with white leather upholstery. The engine is a eight cylinder with 4.941 cc capacity. 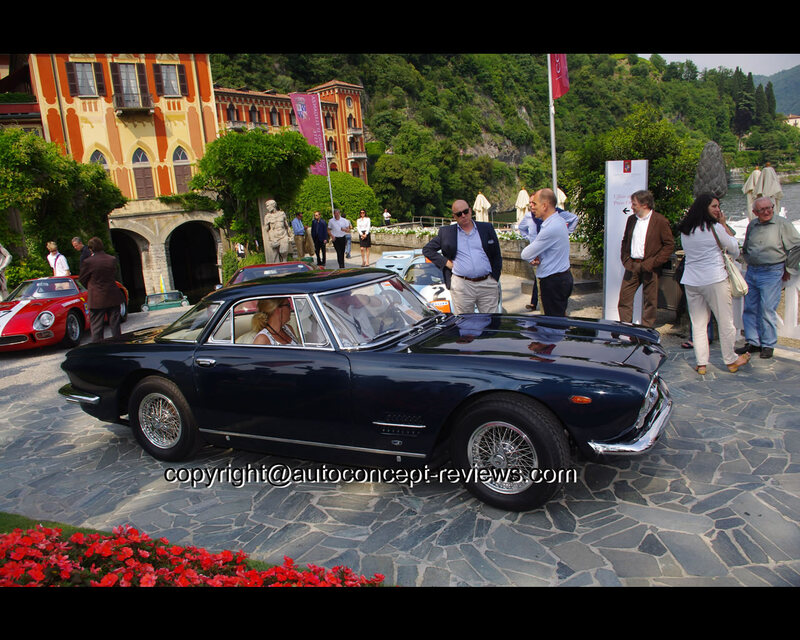 This Maserati 5000 Gt was entered at Concorso d’Eleganza Villa d’Este 2012 by Frans van Haren from Holland. The attached drawing illustrates a coachwork proposition by Bertone.